See those pretty pretzel buns up top? Those weren't always the case. First of all, I was planning to make real pretzels and not pretzel buns. Michelle, one of my good friends had recommended a King Arthur Flour recipe for hot buttered pretzels that she claimed was foolproof. Foolproof pretzel bread? Sign me up! I'd seen pretzel bread defeat some of the best cooks I know. For instance, my good friend Julie. Although she's known for her killer fish tacos, fried chicken, and cornmeal-crusted pizzas, her attempt at pretzel bread was... er, less than successful. Her bread came out as wrinkly, misshapen balls of dough. That was when the fear of making pretzel bread became rooted in me — if Julie couldn't do it, could I? So upon hearing Michelle's recommendation that the King Arthur Flour pretzel recipe was very forgiving, I decided to give it a shot. Unfortunately, I decided to try the King Arthur Flour recipe after a rather boozy Portland blogger's brunch. As you can imagine, several things went wrong. The biggest error I made related to how much water to use in the recipe. Instead of providing a single quantity for water, the recipe recommended a range and encouraged bakers to use their judgement. Use more water in the winter, and less in the summer. This was when things started to get too complicated for my boozy mind. 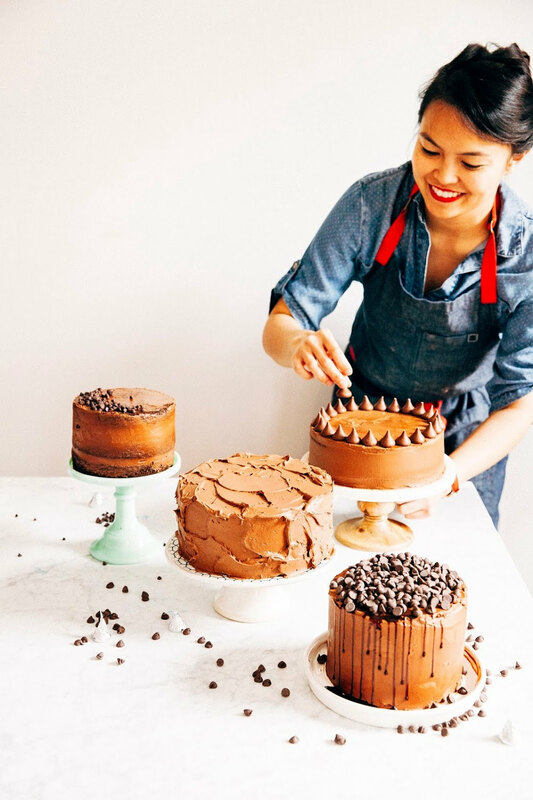 At the time of baking, the temperature in Portland was somewhere between 55 - 65 degrees. Not exactly winter temperatures, but not exactly summer either. What quantity of water should I use? The recipe provided only two quantities — one for summer, and one for winter. It didn't occur to my foggy mind that a quantity between the two would probably be the best idea. Nope, instead, I decided to use the water recommended for winter and stick the proofing bowl in front of the heater. My drunken brain had somehow crossed the connections. As a result, I ended up with an overly sticky and soggy dough that I literally couldn't even mold into pretzel shapes. Seriously — sticking my hand in the dough was like sticking my hand into a wad of freshly-chewed bubble gum. So much for foolproof! Though to be fair, Michelle probably wasn't expecting me to be drunk when she recommended I make the recipe. Looking at the bowl of failed, soggy dough in front of me, I was heartbroken. I wanted to find a pretzel recipe that was really, truly foolproof. So I decided to do what I did best — roll up my sleeves and start googling up pretzel bread recipes. I had some vague notion of what I was looking for. I'm not going to lie — I'm not the world's best bread baker. Breads made with nothing but flour, water, salt, and yeast are still daunting and a bit of a mystery to me, despite my best efforts. But egg breads — that was another story. 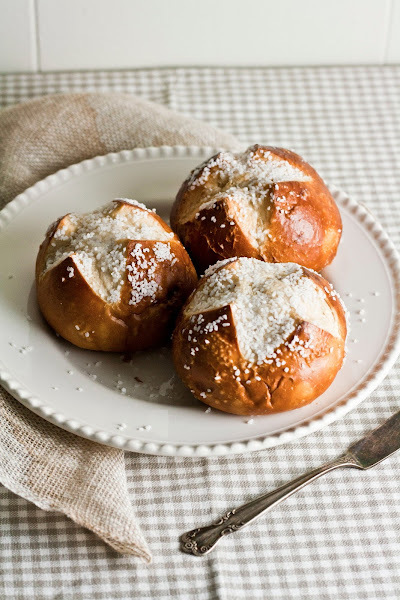 Egg breads are breads made from dough with a little bit of egg, butter, and sugar in them. 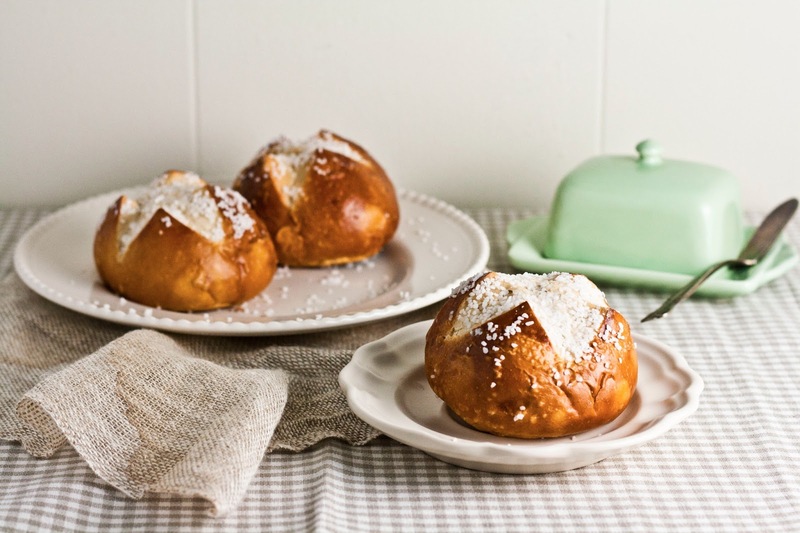 Think challah, or brioche. I've found egg dough to be much more forgiving than regular bread dough. Maybe that's why King Arthur Flour's pretzel recipe didn't work for me — it used a regular bread dough as opposed to an egg one. Eitherway, my research was starting to come to fruition. 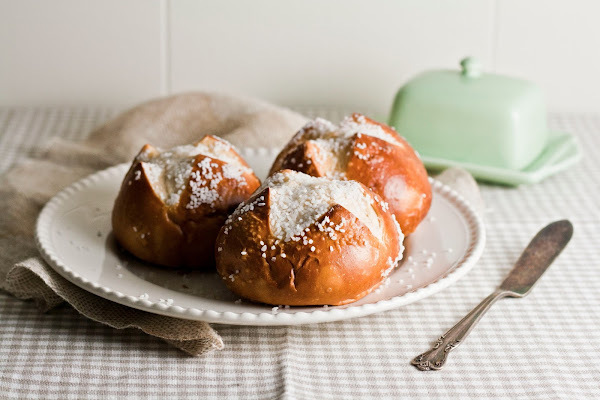 It seemed like all the beautiful pretzel breads on Foodgawker were leading to one recipe: the Food Network's Almost-Famous Soft Pretzel recipe. Admittedly, a quick glance at the recipe revealed that it was NOT an egg bread recipe. But it did have other ingredients that regular bread recipes don't often have — milk and butter, for instance. I was hoping the addition of these ingredients would make the dough a little bit more forgiving. And indeed, I was right. In addition to providing a more forgiving dough, the extra milk and butter definitely gave the dough a little more richness and flavor than your average bread. It reminded me more of a brioche bread than regular bread. Or, actually, it reminded me of a homemade version of those delicious Auntie Anne's pretzels you get from the mall — except not as greasy and heavy. Definitely a bonus. By taking the world's best bread knife and just making some generous crosses on the unbaked dough. At first I was pretty timid about making the cuts, but honestly, the bolder and deeper your scores, the bigger your seams will be. 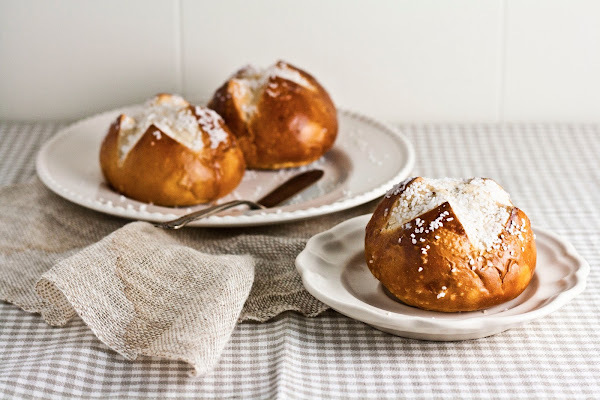 The buns's beautiful golden brown color was achieved by giving the prebaked dough a quick dip in a baking pan filled with warm water mixed with baking soda. I experimented with different "soaking" times — some recipes recommended to "poach" the dough for 30 seconds, while others recommended a quick dip. I found that a quick dip in the bath resulted in better buns. Poaching the dough for too long resulted in soggy dough that wrinkled during the baking process. A quick dip was just enough to give the dough its beautiful golden-brown color, and still enabled the dough to keep its form. Warm 1 cup milk in a saucepan until it's about 110 degrees – you don't want it too hot, or it'll kill the yeast and your dough won't rise properly. Your finger should fit comfortably in the pan; it should be the temperature of a warm bath. Transfer the warmed milk to a medium bowl and sprinkle in 1 package active dry yeast. Let the yeast soften by letting it sit for about 2 minutes; stir in 3 tablespoons packed brown sugar and 1 cup flour with a wooden spoon. Dice 2 tablespoons butter and soften; stir into the mix. Add the remaining 1 1/4 cups flour and 1 teaspoon fine salt to make a sticky dough. Transfer the dough to the bowl of a freestanding mixer with a dough hook attachment and knead, adding more flour if needed, until smooth but still slightly tacky — this should take about 5 minutes. Shape into a ball, place in a lightly greased bowl and cover with plastic wrap. Let rise in a warm spot until doubled in size, about 1 hour. Preheat the oven to 450 degrees and grease a large baking sheet. Punch the dough to deflate it, then turn out onto a lightly floured surface. (If the dough seems tight, cover and let rest until it relaxes.) Divide the dough into 6 pieces. Take one dough piece and stretch and fold one-quarter of the dough up to the opposite side of the dough, only pulling each segment to its maximum stretch. 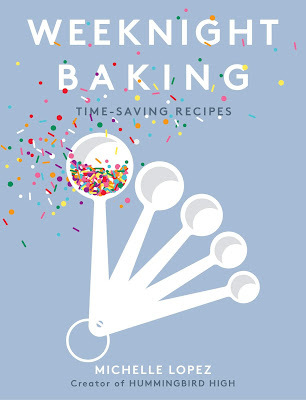 Repeat, working your way around the dough until it forms into a ball. Repeat until you have 6 dough balls. Dissolve 1/3 cup baking soda in 3 cups warm water in a medium bowl. Place one dough ball on the slotted spoon and dip in the soda solution, submerging the dough for only a few seconds. Arrange each submerged dough ball on the prepared baking sheet, take a serrated bread knife and cut two deep slits in a cross on top of each bun. Sprinkle with pretzel salt. Once all the dough balls have received a quick baking soda bath, bake for 10 to 12 minutes, or until a golden caramel brown. Love soft pretzels,love pretzel roll sandwiches!! whats with the 6 tablespoons after soften the 2? you dont write it and i want badly try this recipe! Nice catch! I originally reserved more butter to serve with the pretzel, but decided last minute to scrap it but forgot to pull it from the recipe. It's fixed now! Hi there, somebody commented on that earlier as well. I had initially set aside more butter for a dipping sauce, but decided that the bread was better off on its own. I've changed the recipe to reflect the proper amounts. 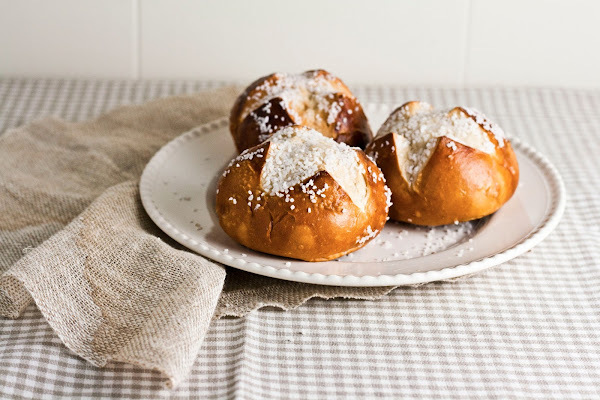 This recipe looks so good- I made one pretzel roll recipe that did not turn out well at all (not the King Arthur one though), so I am looking forward to making this. Oops, that's supposed to read "stir IN 3 tablespoons..." my my, I made quite a lot of mistakes writing this recipe, didn't I? I suppose that's what happens when you blog after 3 glasses of wine. How might you parbake these beauties? I'd love to make them for Thanksgiving this week, but am wondering if parbaking is possible with the baking soda solution! Not sure I can help, I've never parbaked them before. Sorry! Did a little research. Seems like the best thing is to bake them all the way (maybe take off a minute or two from the original bake time), then just reheat them at 350 degrees for 3-5 minutes. I think I'll brush them with butter too for a little extra somethin' somethin'! :) Thanks again for the recipe. Just made these, and they were great! I let the dough rise for a little over 2 hours since I had errands to run, and didn't have any pretzel salt on hand, but these still taste delicious. They came out a nice golden brown, although I turned my oven down to 400 after about 6 minutes of baking since the tops were getting very dark at the edges of the seams. Definitely going to try again with the pretzel salt, because I think that's definitely going to put it over the top! Thanks!